Jason Kravitz (Brussels, Belgium) on 27 September 2004 in People & Portrait. Today is my sisters birthday - Happy Birthday Dana! wish your cute sister a happy birthday from me! 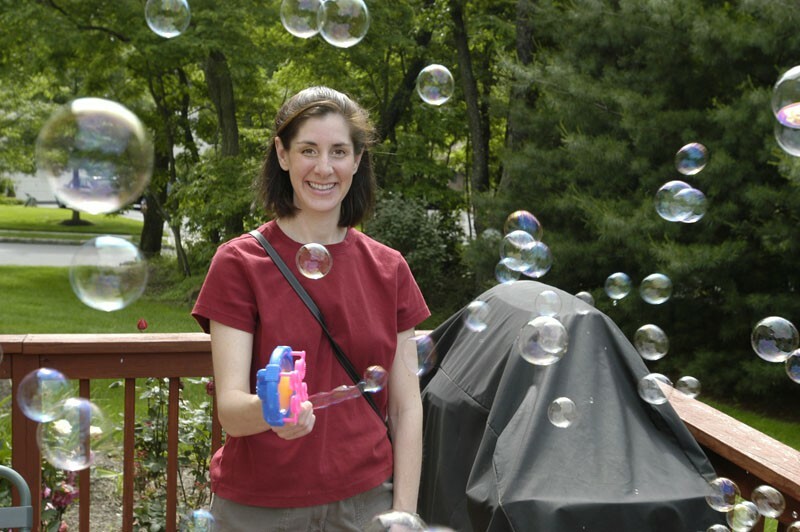 Great shot ... both the bubbles and Dana's expression give a very happy and carefree tone to the photo. Happy Birthday. Happy Birthday Dana! Hope you have a great day. The bubbles do make this shot a fun celebration photo. J, nice shot from the archives. I forgot about this one.